Starting your own business is never an easy decision. Recently, I took a leap of faith and left the corporate world after a successful career overseeing strategic business management activities for nine departments across two medical centers. I had a steady paycheck, health care, retirement benefits and more. But my true passion lied in helping create a phenomenal work environment amongst various organizations all over the country. I realized it was time for me to break free from my comfort zone and achieve what I had always dreamed of. Many people, including close friends, had reservations about me walking away from a steady income and facing the challenges of being an entrepreneur – they questioned whether or not I could handle the unknown. They couldn’t see my vision; they couldn’t understand taking the risk; they couldn’t see the reward. But I couldn’t live in a perpetual comfort zone; I needed to challenge myself. As an entrepreneur, that’s what you need to do every day. Giving up that sense of security was the first trial I needed to overcome. It was imperative for me that I took the time to make sure I was focused, had the right products to meet client needs, and was clear on my vision for the company. Client acquisition was the next dilemma. Not just finding a client, but finding the right client. There was a delicate balance between taking work to get off the ground versus taking the focused work I really want to do – the work I left the corporate world to do. Despite all my education, all my experiences and all my planning, I found out that starting a business is only theoretical until you get your hands dirty. I had done the reading and research. I studied how to open a company. But I learned that until you’re actually in it, the pieces don’t fall together. However, that’s why I do what I do, I enjoy making the pieces come together and helping people push the boundaries to get out of their comfort zones. I enjoy helping them get to the next level, so how could I not push myself? If I’ve learned one thing since the start of my entrepreneurial journey it’s that you won’t ever have all the answers. You have to be open to outside opinions. If you focus too much on the how-to, you’ll get lost. And being lost can be paralyzing; you can become stuck in your tracks and unable to execute, potentially missing out on valuable input. Dr. Theresa Ashby, PhD, MBA, is the president and CEO of Dynam Consulting. A strategist, advisor and thought-partner by nature, she motivates professionalism and helps clients create a culture of empowerment by delivering groundbreaking strategic plans and processes. With a doctorate in organizational psychology from the California School of Professional Psychology in Los Angeles, an MBA from University of Redlands in Redlands, Calif., an M.A. in psychology from Pepperdine University, and an undergraduate degree in public administration from University of Laverne, Dr. Ashby possesses a deep understanding of human behavior and organizational processes. 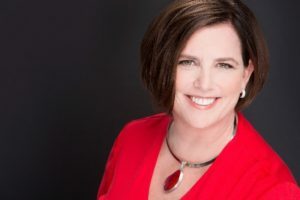 Drawing on 30 years of experience in a variety of leadership roles, including serving as vice president of one of the nation’s largest healthcare organizations, Dr. Ashby’s success lies in her talent for assisting individuals in developing their potential and uniting coworkers around a common vision. She has a strong track record for building and directing successful teams, thus enabling companies to gain prominence in their industries. A published author and high-profile leader who understands from a variety of perspectives the multi-layered needs of organizations, she managed the start-up and operations of three major hospitals collectively representing $1.7+ billion in capital investment and transformed a struggling $500 million project into one of the company’s greatest successes. With the ability to envision, create and execute integrated, big-picture solutions to interdependent and complex business challenges, Dr. Ashby is living her passion by inspiring the cultivation, enrichment and acceleration of greatness in others. Her dedication and commitment to community involvement includes compassionate international relief missions assisting women in developing nations around the globe. In Costa Rica, she worked with the team to build a safe haven for battered women and helped build housing in an impoverished area of South Africa. She is the recipient of the Riverside Business Journal’s Movers and Shakers Award. Ashby is renowned for her willingness to help make a difference in bringing critically needed resources—from housing to healthcare—to change peoples’ lives. For more info visit, www.dynamconsulting.com. Next articleStartup Stories: SquareHue, LLC.